I'm joined by Ohio State fanatic, Caleb Parikh, and Georgia Bulldog, Keller Austin, as we discuss some notes from Auburn's offseason, potential Heisman trophy candidates, our predictions for the big 5 conferences, and finally a run through of Auburn's 2014 schedule. I'm joined once again by Ohio State Buckeye, Caleb Parikh, on this week's edition of "No Huddle". 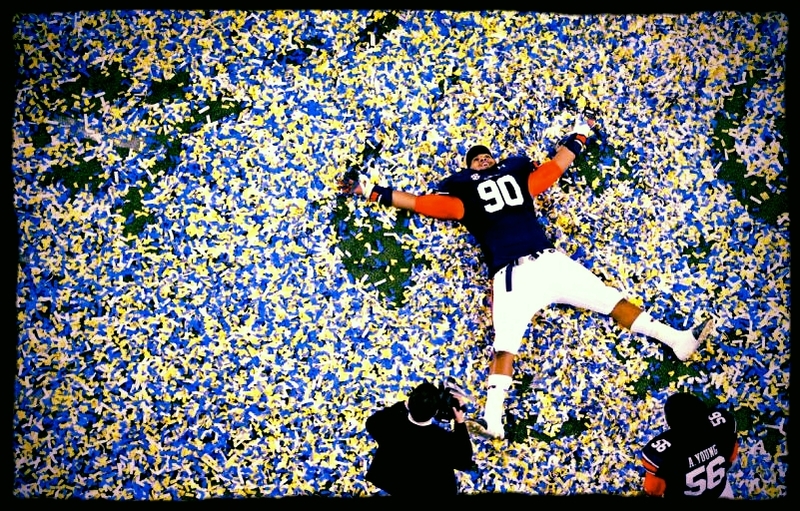 We'll look back on one of the toughest losses in Auburn football history and try our best to stay positive about it. We'll then fast-forward to the 2014 season as we make our (extremely) early predictions for the preseason polls and the playoff system. On this edition of "No Huddle", I'm joined once again by my co-host and Ohio State Buckeye, Caleb Parikh. 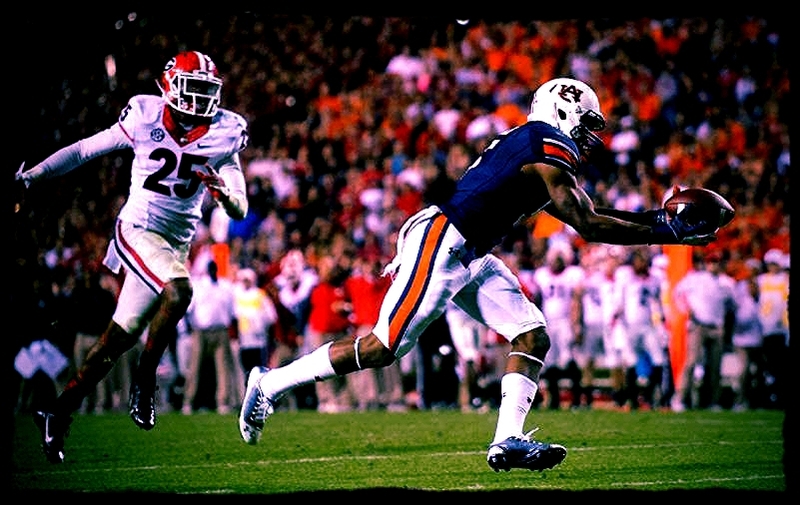 This week's episode will run you through an unforgettable Saturday that consisted of not only an Auburn SEC Championship win, but also an Ohio State loss to bump Auburn into the National Title game. Also discussed on the show are our realistic predictions on the Saban to Texas scenario, Heisman runner-ups, and a brief preview of the BCS Championship game against FSU. Give it a listen, and be sure to leave a comment with your own takes from the week! This week on "No Huddle", I'm joined by Ohio State Buckeye, Caleb Parikh, on the most exciting podcast of the year. Auburn is coming off the most meaningful and emotional victory in program history this week, but gears need to shift for this weekend's SEC Championship, as BCS Title implications are on the line. 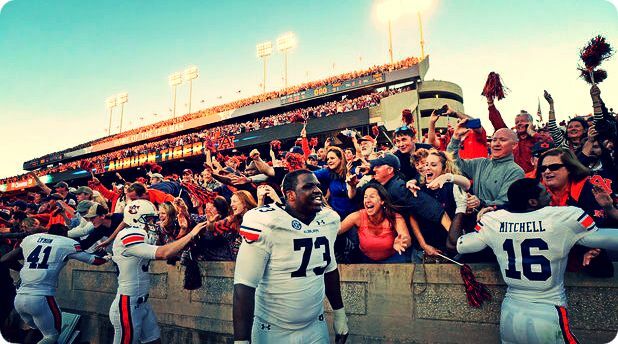 Caleb and I take you through the experience last weekend in Auburn, what needs to happen for Auburn to knock off fifth-ranked Missouri, and what-if scenarios for the BCS polls between Ohio State and Auburn. Give it a listen, and be sure to leave your own takes in the comment section below! This week on "No Huddle", I'm joined by Ohio State Buckeye, Caleb Parikh, on an Iron Bowl edition of the show, as we discuss our opinions on Jameis Winston's allegations, shed light on this year's Alabama game, bicker over the greatest rivalry in sports, and dish out our game predictions for this coming weekend. I hope everyone has a happy Thanksgiving, and be to sure leave your own takes in the comment section below! I'm joined by my co-hosts, Abinav Bharadwaj and Caleb Parikh, on this edition of "No Huddle". This week, the three of us discuss the "Prayer in Jordan-Hare", whether Johnny or Jameis deserves the Heisman, how conference championships affect the BCS polls, and which coaches are on the hot seat to finish out the season. Listen, and comment with your own takes from a thrilling week of college football. This week on "No Huddle", I'm joined by my co-host, Caleb Parikh, as we discuss Auburn's victory over Arkansas, our take on Anthony Swain's "injury", Pat Dye's recent comments, and the chances that Nick Saban packs his bags to leave for Austin, Texas. Listen, and please feel free to comment below with your takes on yet another exciting week of college football! This week on "No Huddle", I'm joined by my co-hosts, Caleb Parikh and Abinav Bharadwaj, as we talk about my recent trip to Mizzou, our take on "conference pride", ranting about the newest BCS polls, and finally, a look ahead at Auburn's matchup against the Razorbacks and Bret Bielema. 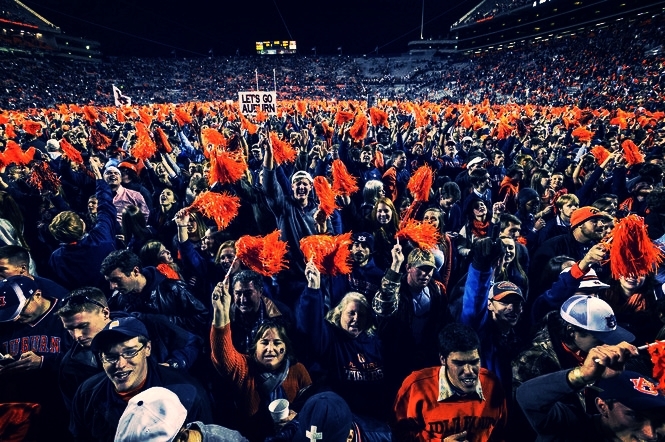 Get ready for an exciting November on the Plains! Starting today, Auburn Incorporated has decided to step into the podcast world. Our new weekly show, "No Huddle", will bring you the perspective of not just Auburn football, but college football as a whole. I'm joined this week by Ben Ladner, Caleb Parikh, and Abinav Bharadwaj. This week on "No Huddle", we bring you a recap of my trip to College Station and the upset that ensued, a rambling around of the SEC, the latest Heisman front-runners, and Auburn's chances at a BCS title. A must-listen for college football fans around the nation! Feedback is very much appreciated in the comment section below.